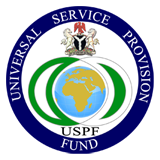 The Executive Vice Chairman (EVC)/Chief Executive Officer of the Nigerian Communications Commission (NCC), Prof. Umar Garba Danbatta, FNSE, who was represented by Kelechi Nwankwo, Head of Strategy and Corporate Performance Monitoring at the USPF Secretariat, has said the strategic activities of the USPF are targeted at ensuring availability of service, accessibility of service and affordability of service which are the constitutive hallmarks of universal access. The EVC stated this at Calabar, the venue of the South-South Zonal Workshop on ICT Utilisation and Sustainability organized by USPF. He noted that the workshop was designed to enrich the experience of USPF’s implementing partners (managers) of Community Resource Centres (CRC) and School Knowledge Centres (SKC) State desk officers, teachers, students and other stakeholders interested in deepening ICT penetration. Prof. Danbatta invited opinion leaders including community leaders, government functionaries, civil societies and tech enthusiasts to align with rural ICT projects that are capable of achieving developmental goals and also addressing the peculiar needs of the beneficiary communities and institutions. His address ignited enthusiasm and determination in the assembly of over 250 youths, representatives of community-based organisations, government officials, media and development workers who gathered in Calabar from 27th to 28th September, 2017, for the two-day knowledge-sharing interaction designed to deliver concrete results in the determination to expand the frontiers of ICT penetration and usage among the citizens of Nigeria, irrespective of where they live. Similarly, the Secretary of USPF, Mr. Ayuba Shuaibu, who was also represented by Adejoke Atte, Principal Manager, Strategy and Corporate Performance Monitoring, amplified the USPF mandate to promote availability of ICT services in rural, unserved and underserved areas, the achievement of which will contribute measurably to the objectives of the Federal Government’s Economic Recovery and Growth Plan (ERPG) on telecommunications and ICT. These objectives are to: develop sufficient, efficient, affordable and critical ICT infrastructure as well as encourage rapid ICT penetration among all socio-economic levels and increase the current coverage of the active mobile broadband subscription per 100 from 20.95 to 50 percent by the Year 2020. The second day of the workshop was a technology Bootcamp devoted wholly to training and technology transfer on web development, Android App development and Arduino Robotics and Artificial Intelligence also known as Machine Learning. The Bootcamp was a practical session on the application of ICT to enhance agriculture, health, education, early disaster warning, etc. 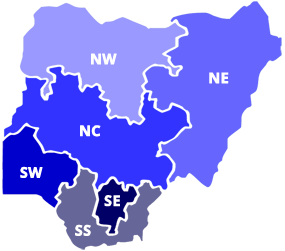 At the end of the workshop, which was the third in the series planned for all the geopolitical zones in Nigeria, the participants created the Calabar Innovation Hub to harness and sustain the gains of the programme.